The House is advancing H.R.38 through the Judiciary Committee. What a grim looking bunch. Hopefully that’s a good sign for us. 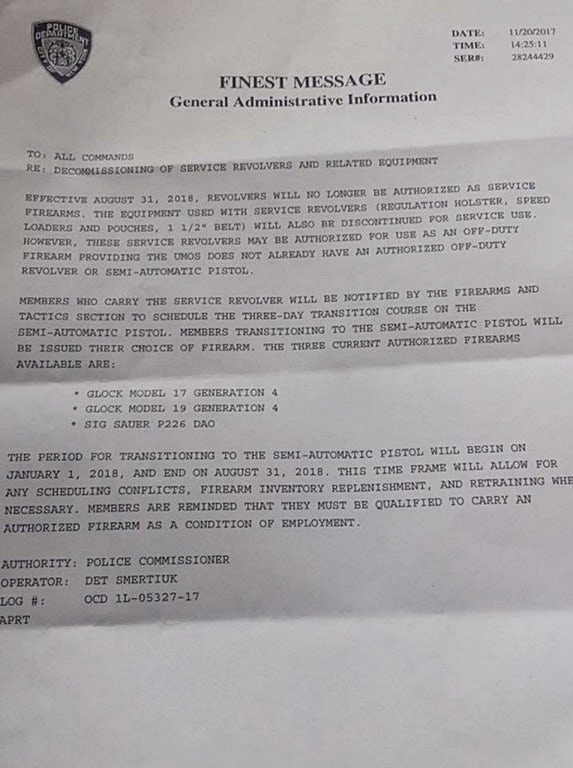 Don’t wait with the pistol license recertification. I suspect most people are and it’s going to be a custerfuck come January. House bill H.R.38 picked up another co-sponsor before Thanksgiving bringing the total to 213. No new action on the Senate version S.446 since September. I would add the local Republicans sell-out first on Pataki’s 5-Point Plan then again on Cuomo’s SAFE Act played a big part in this collapse as well especially considering Martin’s campaigning loudly on his SAFE vote. There is no companion bill in the Assembly. “After reading of Senator Felder’s call for armed security at public schools following the Halloween terror attack I have a question for the Senator: Don’t you think it’s time to admit that New York’s citizen disarmament laws do not keep the public safe? However good your intentions, the NYPD does not have the ability, nor in fact do they have any legal responsibility, to protect the public either from street criminals or Islamic terrorists. The only one responsible for a person’s safety is the individual themselves. That is the reason 42 states covering 75 percent of the population have right-to-carry firearms for personal protection laws. No rational argument can be made for New York to be excluded from this. If you want to seriously address public safety then introduce legislation to bring the state in line with the majority. I’m not expecting a response from Felder’s office, but you never know. I love the response from Ulster Firearms. The bills are not yet online so I’m not sure exactly what they do, but I’m pretty sure lying on a 4473 is already a felony. Maybe she’s making it a double, secret felony. Now that George Latimer has won the Westchester County Executive’s race, he must give up his seat in the Senate. That means a special election. As a general rule, whenever a Spano is on the ballot in Westchester, residents should reflexively vote for whomever their opponent is no matter who they are. Mike is no exception. Plus with Mike, you get Nick and nobody wants that. He was an antigun Republican in the Assembly and switched to Democrat to become Mayor. I’ve suspected for sometime he would make a run for county office, but with Astorino on the way out, he needs to find another gig. Hopefully someone better jump in.